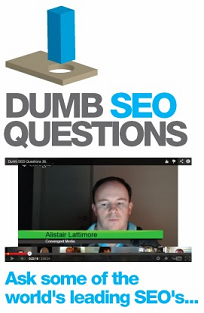 Dumb SEO Questions (DSQ) is operated by ShopSafe Pty Ltd as trustee for the ShoPSafe Trust (ACN: 104812688) . DSQ is committed to protecting your privacy and the privacy of any personal information provided to us. DSQ complies with the Privacy Act 1988 (Cth) and the National Privacy Principles. What Anonymous Information do you or other third party advertisers collect? We use third-party advertising companies to serve ads when you visit our websites. These companies may use information (not including your name, address, email address, or telephone number) about your visits to this and other websites in order to provide advertisements about goods and services of interest to you. If you would like more information about this practice and to know your choices about not having this information used by these companies, see www.networkadvertising.org for more information. 2. Google's use of the DART cookie enables it to serve ads to your users based on their visit to your sites and other sites on the Internet. To enable us to provide our services to you, we need to collect personal information from you - usually your name and email address. You may also choose to tell us your preferences and country of origin when searching our web site. You may also choose to provide us with your mobile phone number. We collect your personal information to be able to send you the type of information that you have indicated you prefer. We may send this information by email or by SMS if you have indicated your preference for this. Each time we use personal information for these purposes, we will give you the opportunity to decline to receive any further communications from us. We do not disclose your personal information to others. We do not release your personal information to direct marketers or other websites. We do not usually disclose your information to any other person for any other purpose unless we are authorised or directed by law to do so or unless you authorise its release. Apart from situations permitted by the National Privacy Principles, your personal information will only be seen or used: by persons working in or for DSQ; or organisations who may send emails or sms messages on our behalf. (We only disclose to these organisations the information they need to carry out the service and we undertake to seek their undertaking to maintain confidentiality of your information). Our electronic information systems are password protected to prevent unauthorised access. Our staff are trained and required to protect the privacy of your personal information. All service providers will be informed of the importance we place on protecting your privacy and their role in helping us to do this and we will ask them to undertake to maintain the confidentiality of your personal information. Any use of your personal information by them will be subject to the Privacy Act and the Principles. How long do you keep my personal information and what do you do with it when I unsubscribe? Our electronic records are maintained in password protected archives. They are maintained so we can send you details of promotions or services, in which you may be interested. However, each time we send you something you have the opportunity to request that no further information be sent to you. Your personal information will then be deleted from our records. What if I want further information or have a complaint or concern about the privacy protection of my personal information by DSQ? If you are not happy with our response, you can contact the Office of the Federal Privacy Commissioner at privacy@privacy.gov.au or telephone (Australia) 1300 363 992.